A growing demand for data means an increasingly competitive business intelligence and analytics market. 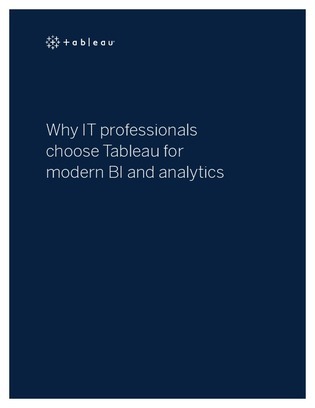 This white paper is written for IT and business intelligence decision makers to understand what differentiates Tableau from other analytics platforms in the market. In addition, discover critical aspects of modern BI and analytics platforms for evaluating platform options.